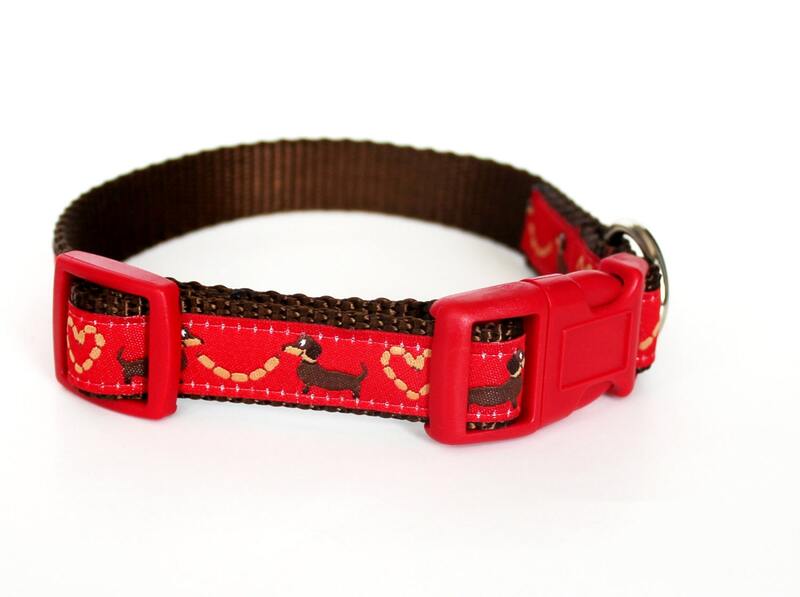 This Dachshund Lovers Dog Collar is perfect for all the wiener doggies out there! 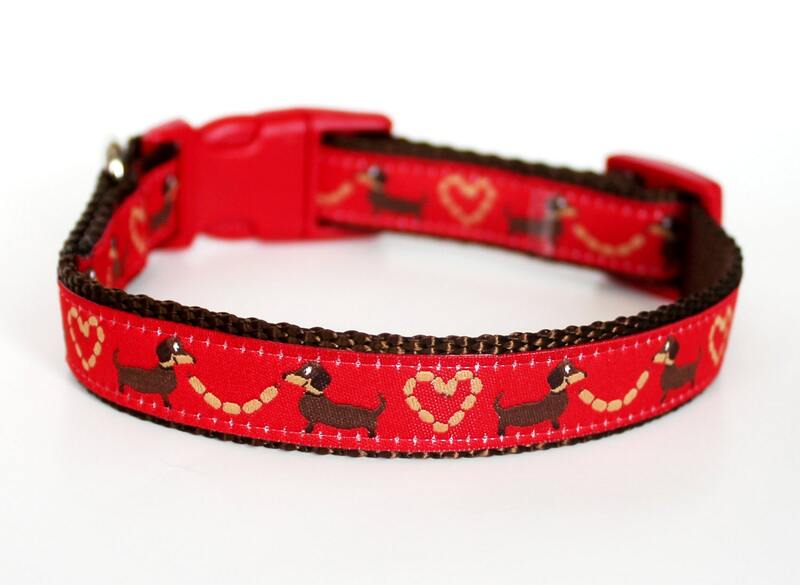 Super bright and adorable, this German ribbon collar has dashchunds or wiener dogs and bratwurst or weiners in the shapes of hearts. 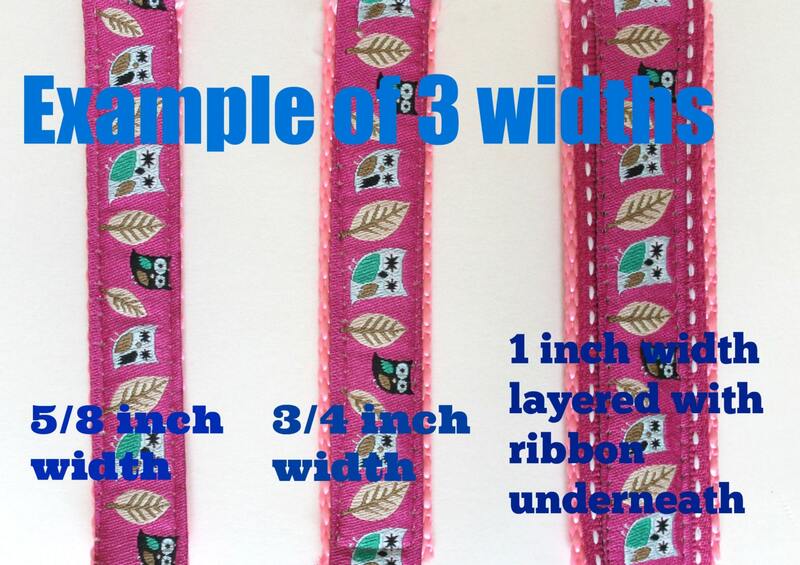 **Collar pictured is a 3/4 inch. 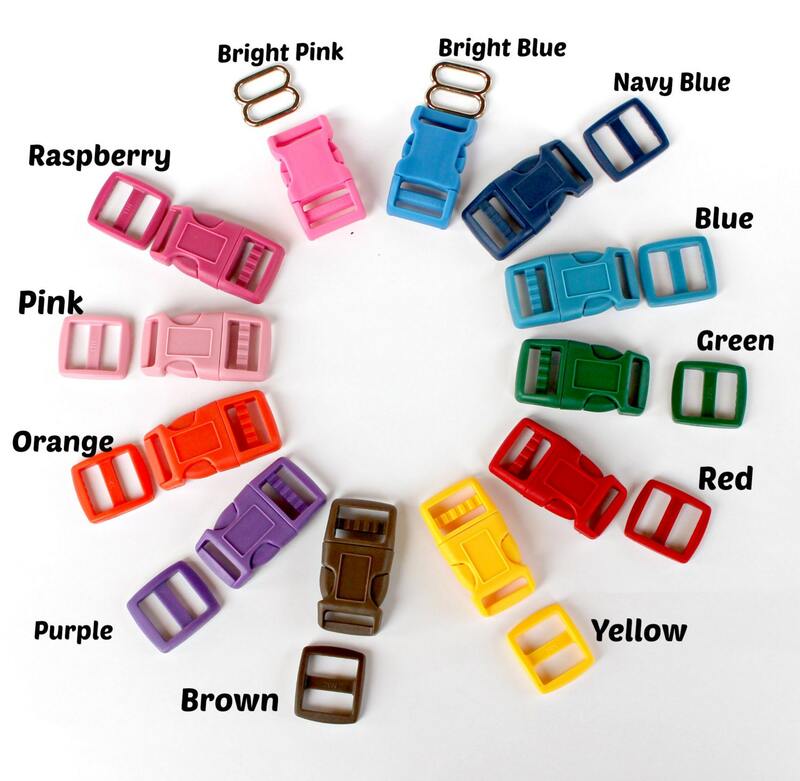 Example of the varying widths in last picture. **Production Time is 7 to 10 days. 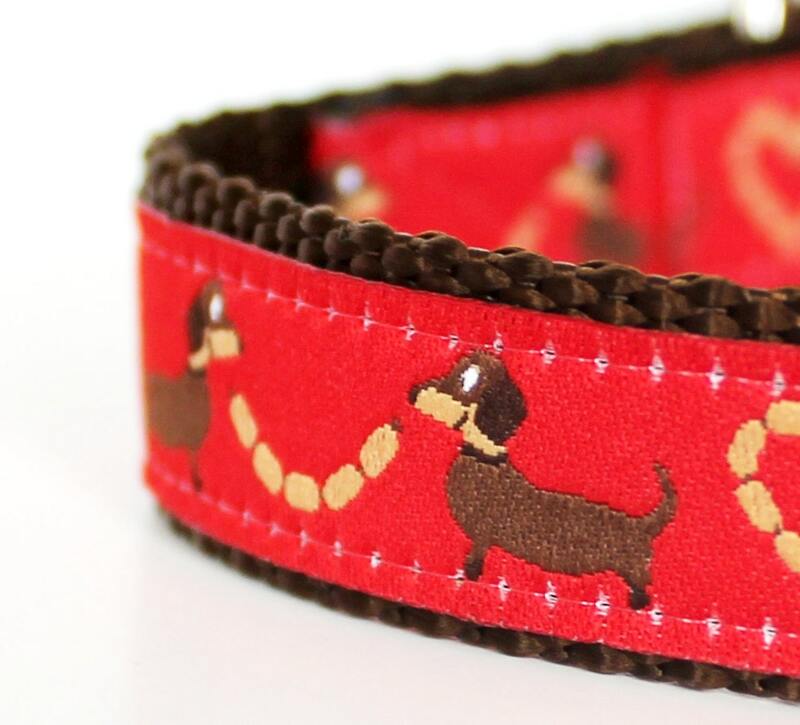 Will look super cute on our sweet dachshund!!! So adorable. Wonderful seller and nicely gift wrapped! Thanks so much and will definitely purchase from you again. My second purchase. Very cute and fit perfectly!